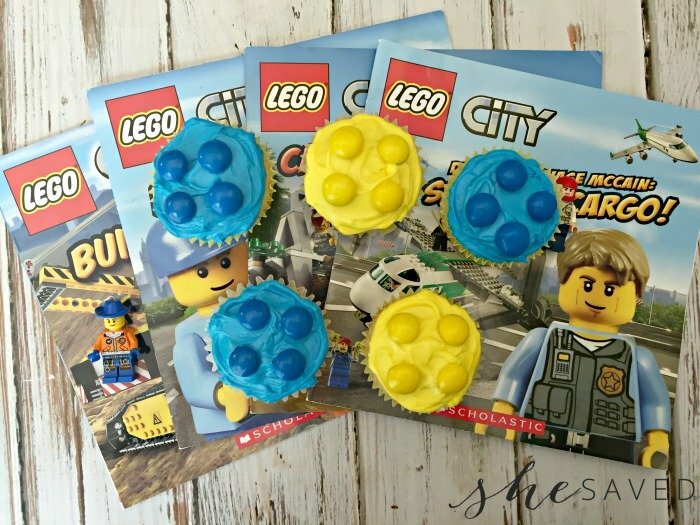 Lego Cupcakes….can you think of anything more fun for a Lego-lovers birthday? 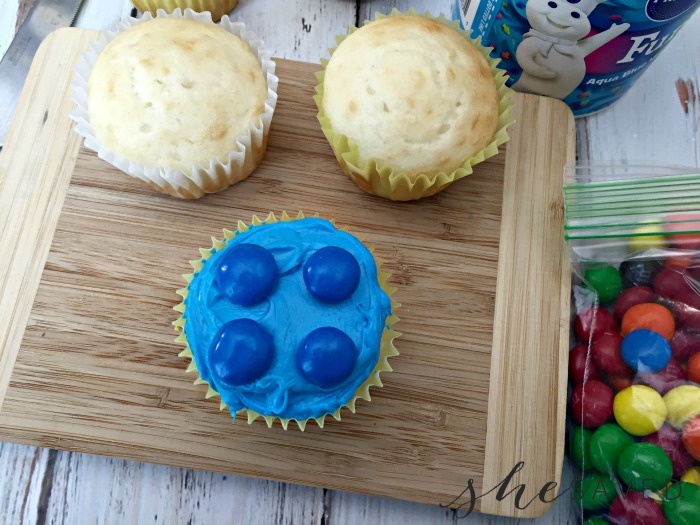 The best part about a LEGO party is that it doesn’t have to be complicated, and these Lego cupcakes are SO easy and very fun to make. 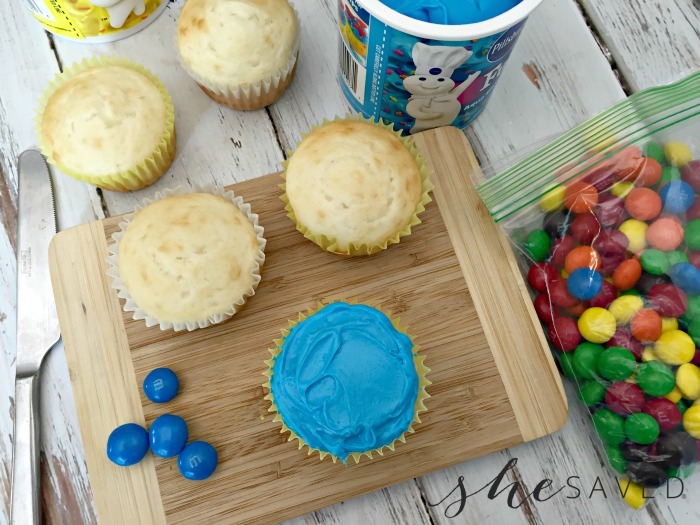 You could even have the kids make their own Lego cupcakes if you wanted to include this as part of the fun Lego party activities! Preheat the oven to 350 degree and line a 12 ct muffin tin with cupcake liners (optional) . 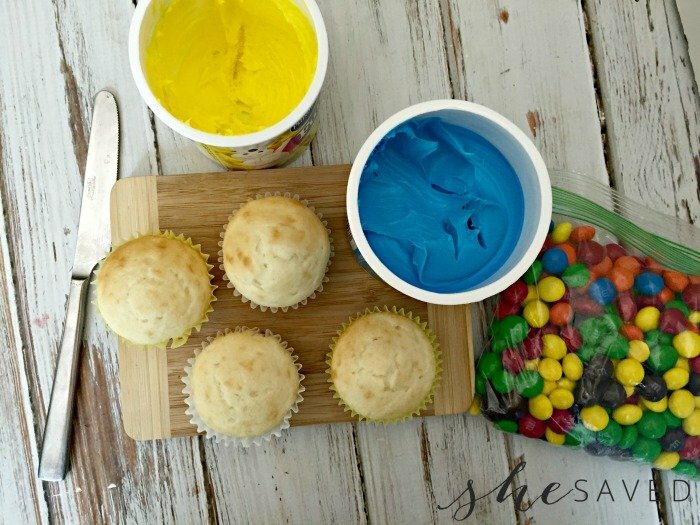 Combine the cupcake ingredients, mixing well. Fill each cupcake tin about 3/4 full. Let the cupcakes cool completely prior to frosting. Once the cupcakes have cooled generously frost each one with yellow or blue frosting (see photo). Give each 4 coordinating M&M’s (see photo). Repeat until all the cupcakes are decorated to resemble Legos. This activity could also be used as a fun color recognition exercise. 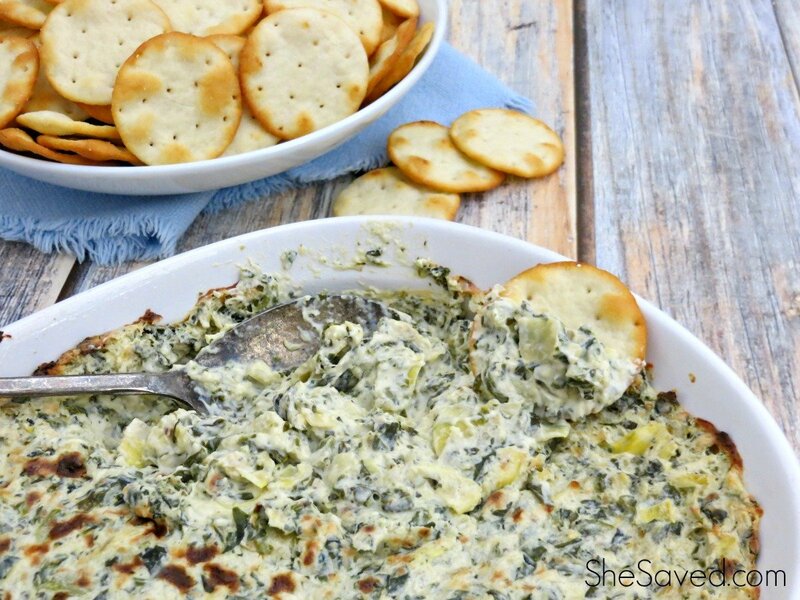 Any time that I can find a way to include some educational aspect into an activity with the kids, it’s a win! 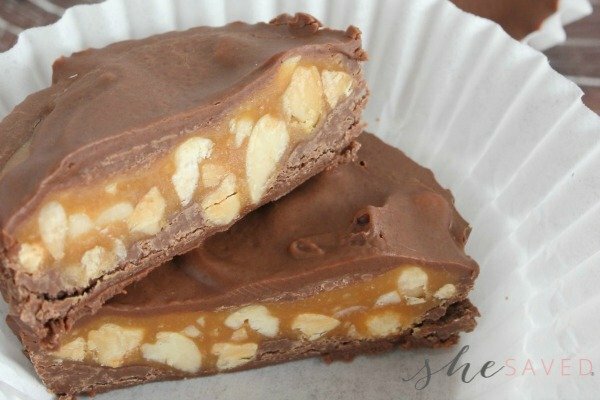 And this one is a double win because it includes dessert and chocolate! 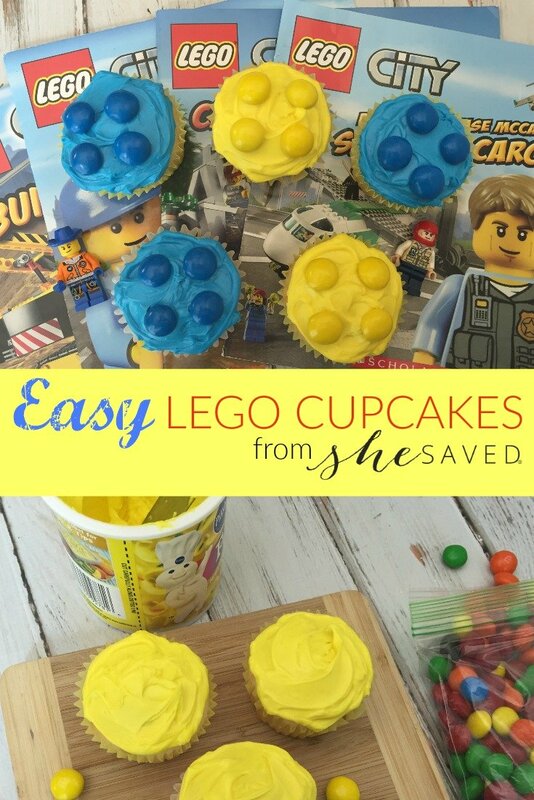 Do you have someone in your house that would love these Lego Cupcakes?